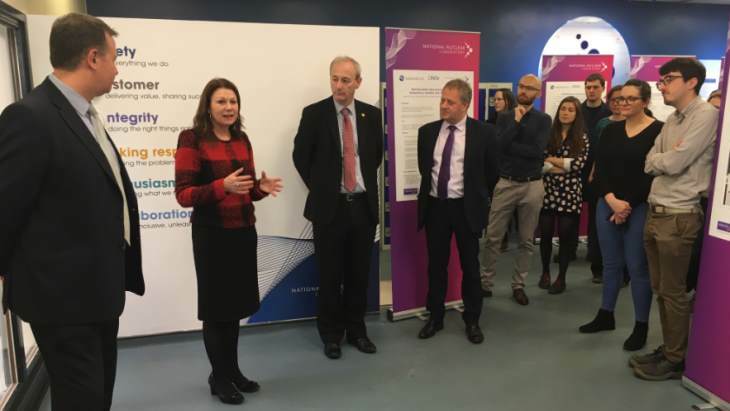 The Centre for Innovative Nuclear Decommissioning Engineering (CINDe) has officially opened in Workington with the aim of innovating and delivering future engineering leaders, supporting the UK's nuclear decommissioning programme in west Cumbria. CINDe is a partnership between Manchester, Lancaster, Liverpool and Cumbria Universities, together with Sellafield Ltd and the National Nuclear Laboratory (NNL). NNL said that over the past year students from around the world have been putting forward their submission for research. Proposals are then considered by those leading the Centre's work. So far, ten students have been accepted to carry out their PhD studies at CINDe. Anthony Banford of NNL, who is leading the project, said: "With the demand for innovation within the energy sector greater than ever before coming at a time when funding across all sectors is increasingly limited, there has never been a greater need to find innovative ways to deliver services across the nuclear sector." He added, "CINDe is a unique proposition: thanks to the close working of industry and academia, it offers students the opportunity to carry out research that will be actively tested in industry. This is a critical benefit of what CINDe provides: a direct channel between academia and industry." Banford added that such activity was vital for developing the pipeline for future technologies and scientific and technical skills.